Caring for others fulfills a basic social contract in ways that can draw generations and individuals closer. Certainly, caring for an elderly parent or ailing spouse or partner is a worthy, often satisfying pursuit. But it isn't easy. If you're among the estimated 66 million Americans acting as caregivers for friends, family, or neighbors, you may often wrestle with stress as well as exhaustion, anger, guilt, grief, and other emotions. Two-thirds of these caregivers are women. The task is especially hard on women in the so-called sandwich generation, who are simultaneously caring for children and older parents, quite possibly while working outside the home, too. While you attend to the needs of others, your own sense of well-being may head south. Studies of men and women responsible for the long-term care of relatives show higher rates of illness, suppressed immune response, slower healing, and even earlier death among caregivers. 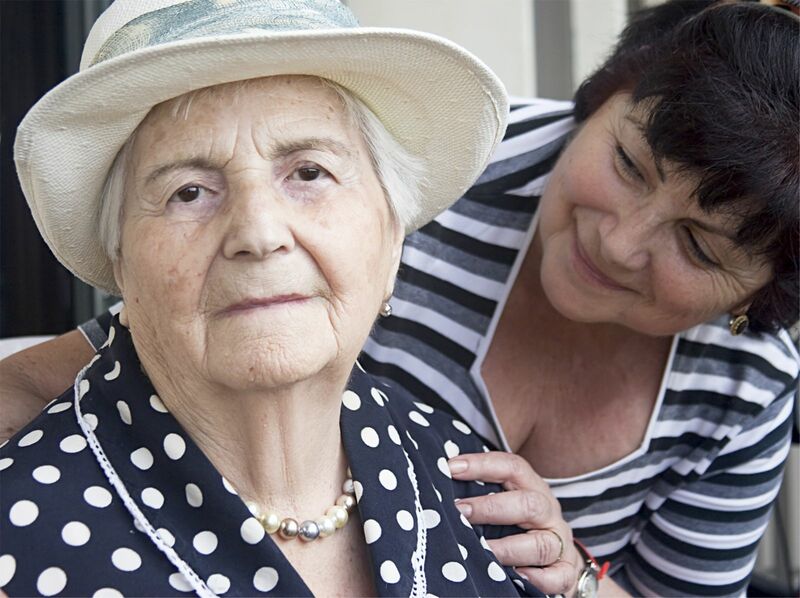 Additionally, research reveals that ongoing stress endured by older adults caring for spouses with Alzheimer's disease has a negative impact on the caregiver's own mental functioning. In order to give care to others, you need stress relief, support, and time for yourself and your family. Theses "Tips for taming caregiver stress" may help. • Relaxation response techniques and nurturing techniques are vital. Practicing them often will enable you to feel calmer, happier, and better able to help others. If it's too hard to find the time, consider getting extra help with some household tasks. The Eldercare Locator at www.eldercare.gov can help you find varied services for older adults and their families; it's run by the Administration on Aging. The Rosalynn Carter Institute for Caregiving, at www.rosalynncarter.org, also provides recommendations for evidence-based caregiver support programs. • Protect your own health. Research suggests that a caregiver's immune function is often suppressed by the stress of caring for others. Boost your resistance by eating well, getting enough rest and exercise, and pursuing activities that bring you pleasure. Take advantage of regular respite care from professionals, family, and friends to give you much needed breaks. • Join a support group to talk out frustrations with other people in your situation and to get helpful ideas. Some caregiver support groups are available online (such as a nationwide chat group run by AARP; for a quick link to it, go to www.health.harvard.edu/cgteam). Others are run by local hospitals, senior centers, and community groups. • A blend of assertiveness and cognitive restructuring skills can help you share the work, instead of taking on everything yourself. Spell out to other family members what needs to be done and what sort of help would be best. If no one offers help, ask for it. Linking those who can lend a hand has gotten much easier with new websites and apps that help friends, family, and communities coordinate care. Another example of a helpful site is CaringBridge (www.caringbridge.org). • When someone offers help, accept. Keep handy a list of small tasks people can do, such as calling regularly, cooking an occasional dinner, shopping, and running errands. You can dole out tasks or ask people to check off what they can do. • Accept that circumstances change quickly. Periodically reassess what you can offer and what assistance you need. If it's getting too hard to fulfill certain needs, ask family members for help or consider other options, such as hiring paid caregivers to take on these tasks. Consult a geriatric care manager (www.aginglifecare.org) or social worker for help; your local council on aging or visiting nurse association should be able to help you find one. If necessary, consider another living arrangement that would help you meet your needs and those of your loved one. • Accentuate your spiritual connectedness to something greater than yourself, be it to God, community, or the natural world. • Remember that you're doing this not solely out of obligation. Focusing on the love you hold for your loved one can help dial back stress when things become frustrating and overwhelming. For additional information on the dangers of stress and ways to relieve and manage it, read Stress Management, a Special Health Report from Harvard Medical School. Is that mood change a sign of something more serious?